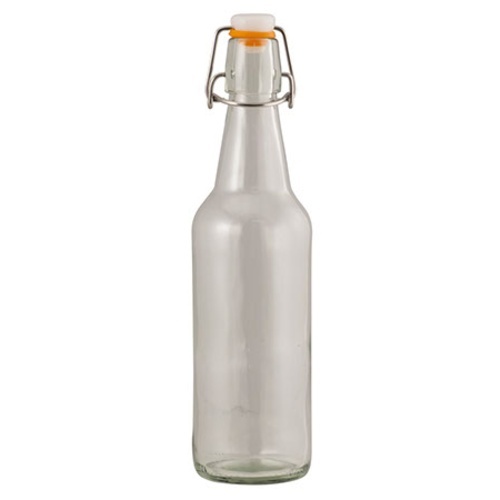 Clear 500 mL (16.9 fl oz) flip top bottles perfect for showcasing your homemade creations. Packed in cases of 12. Plastic swing top lids are packed in the box but unassembled. cheaper price but the shipping costs are astronomical! Can this be used for beer? Can it handle pressure? Thanks. BEST ANSWER: Hello Ann - Yes, these can be used for beer. Make sure the seals are in good condition after a few uses.